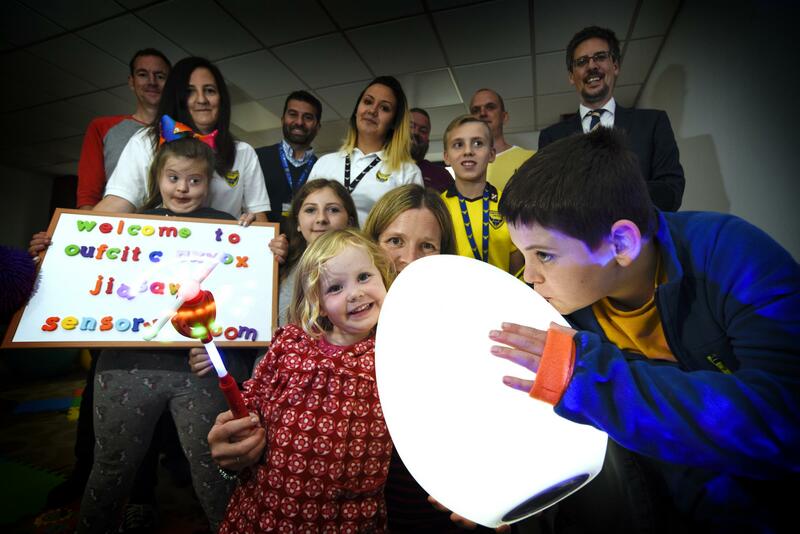 In April, OxVox were approached by Oxford United Community Trust and asked to consider helping with the funding of a sensory room at the Kassam Stadium. 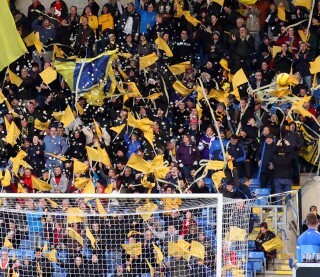 Kate Longworth, CEO of OUFC Community Trust, made us aware of a group of women who ran a local organisation called Jigsaw, who were willing to volunteer their time to help fans who, whilst attending games, were unable to manage with the sensory overload a football match can bring. 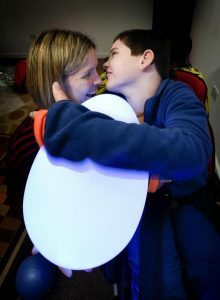 Large crowds and loud noises can be overwhelming for some and the sensory room is designed to provide a safe, controlled and stress-free space, where people with autism or other sensory needs are provided with a calming environment. We, as OxVox, are keen to support local community initiatives which involve sport and felt this was not only a cause to support the community but also to support our own fan base. 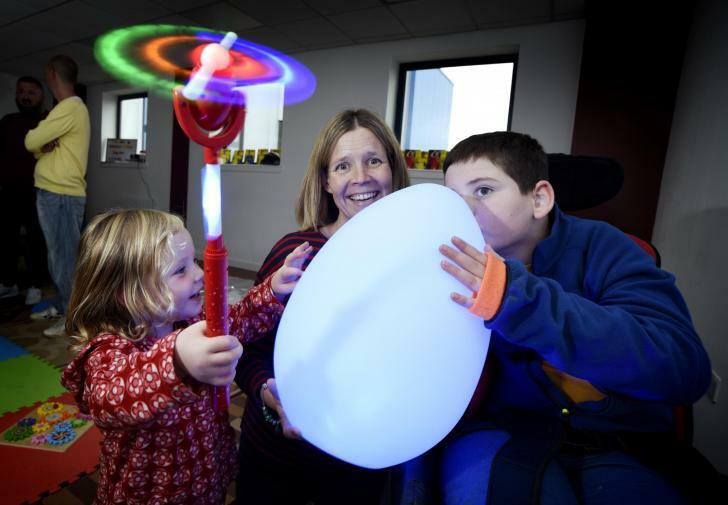 The funds we hold as a trust are built up by donations and member subscriptions. From these, we have now funded, sourced, and supplied the many features to help remove anxiety if someone becomes distressed. 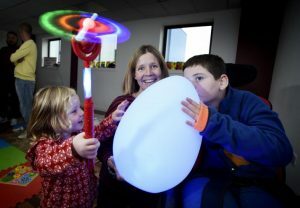 These features include special lighting, equipment, soothing sounds, music and decor. It is our belief that if you have an autistic family member or friend and you’re a football fan, you should have no fear in taking your group to a match. 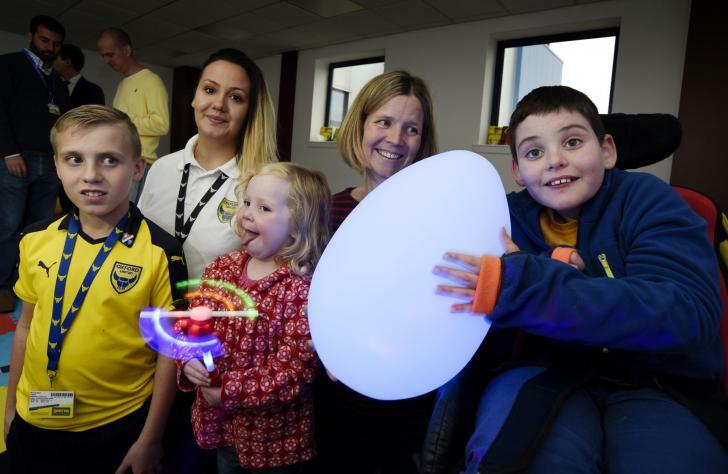 Having a sensory space at our stadium allows access to a football game in a safe environment. The Community Trust has also received a kind donation from Cybele Developments Ltd, which has helped with this important project. The room is in the process of a series of soft launches which will see it initially used by Mabel Prichard School and is available for use on first team match days. Unfortunately Tuesday’s game vs Man City will not see it open. Should you wish to access the room please contact community@oufc.co.uk for more information. We were delighted to welcome Toby Kelly and his family as guests into the room before the Walsall match: a few pictures of their visit can be found below.